← What’s in a Micron? Hey everyone! 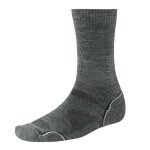 I just received a new shipment of Smartwool merino wool socks from Sierra Trading Post. 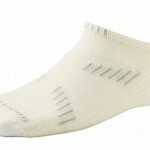 As many of you probably know, Smartwool is one of the best US merino wool manufacturer’s going. I got such an amazing deal I had to share. These were considered irregular and each sock has the markings as such but the price was too good pass up. I’m talking around 70% off retail. So far I have tried three pair and I would be none the wiser that they are irregular. 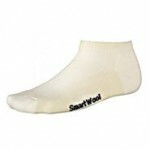 So for a grand total of $37.88, which includes shipping cost, I got 7 pair in various styles of Smartwool socks which comes out to about $5.41 a pair. I had to settle for standard colors, but still, what an amazing deal! I will update everyone on how the “irregulars” hold up, but head on over to Sierra Trading Post to find out if there are any still available. I recommend signing up for their newsletter…. and although they tend to send a ridiculous amount of emails, some of there deals are unbelievable. This entry was posted in Amazing Deals, Uncategorized and tagged amazing deals, deals, merino, merino wool, Sierra Trading Post, unbelieve deals. Bookmark the permalink. 2 Responses to What a Merino Deal!! Merino wool is the bomb!! I’m seriously considering migrating my entire wardrobe to merino. There is no material on the planet more comfortable than this stuff. I especially like wearing merino when I’m on my outdoor adventures because it is super lightweight, comfortable, wicks away moisture, and does not retain smell very easily. If you could display links to deals on your site, it would be great!! Thanks for the message abolazina! I totally agree that “once you go Merino, you never go back!” We are working hard to develop a way for people to start posting links to some of the great deals that can be found throughout the Merino wool internet world! Stay tuned for more updates! In the mean time, I will try to post amazing deals when I find them. The Merino is an excellent forager and very adaptable.